McKissick 35 Ton Three Sheave Hook Block; CranesList ID: 262, 5/8" Sheave, 500#, Serial Number: 0630940, Part Number: 8023413 79100352 http://www.CranesList.com, LOCATED IN COLORADO! 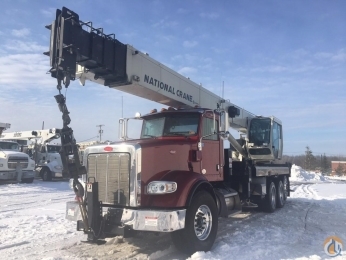 2002 Terex RS60100 Boom Hoist Cylinder; CranesList ID: 261, Good working condition, http://www.CranesList.com, LOCATED IN COLORADO! 2004 Altec 35-127S Man Basket; CranesList ID: 260, Make Best Reasonable Offer! htto://www.CranesList.com, LOCATED IN COLORADO! Contact Dereck@Empirecrane.com or Call 1-800-342-7575 for a quote! Aluminum Outrigger Pads In stock and ready to ship! !